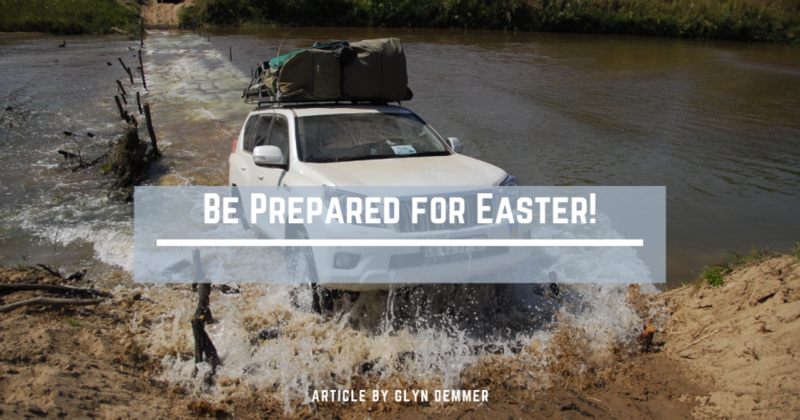 South Africa is a vast country and we often travel long distances to remote parts with vehicles that are ill-prepared. With the Easter Holidays around the corner, we would like to share a few tips. It’s always good to service your vehicle before a trip and get everything checked. Then check everything prior to leaving do a “walk of life “ around the car, check your spare wheel as well as all fluid levels. With your partner or a friend check brake lights, lights and indicators. you know how far you are going to travel and how much you will be taking with you, if going to a self-catering facility you will need extra space for groceries and perhaps even a fridge, do you need a roof rack or auxiliary packing system? Ascertain this before it’s too late. •	Cellphones should be fully charged, and you should have a car charger as well as a power bank. •	Save emergency numbers as ICE ( In case of an emergency. •	Ensure that your driving licenses are all valid. •	Carry your credit cards and a reasonable amount of cash as many small towns do not have ATM’s or card machines. •	See that you have your medical aid cars as well as cash or a card on hand to pay toll fees. •	If your car has navigation back it up with a road atlas or area map just for safety, you may not have a signal to navigate using Google Maps or Waze. •	Have a good supply of water, a first aid kit and tools that include jumper cables and a tyre repair kit. •	Wet wipes and hand sanitisers are invaluable especially if you are travelling with the little folk. •	Games and books for the little folk. •	A torch especially if travelling in the dark. •	Camera batteries and memory cards. •	Binoculars and field guides. •	A good collection of road trip music. •	Then “padkos” a true South African tradition. •	Tools and a jack, wheel spanner and jack crank. •	A few small pillows and blankets. •	A fire extinguisher (accessible). Dress comfortably and do not wear tight clothes or heavy shoes. Have raincoats available you may be travelling from a dry season to a wet season. Then drive safely and follow the rules of the road, don’t exceed the speed limit as many provinces will fine you based on your average speed and most of the others have speed traps around every corner, and lastly, don’t drink and drive. From all of us at All Terrain have a great long weekend.